FORT LAUDERDALE, Fla. /Florida Newswire/ -- In the 1950s, Lucille Ball and Desi Arnaz gave into the romantic notion of cruising America's highways and byways in 'The Long, Long Trailer.' If they had to do it all over again, they would likely have been a lot better off in a luxury RV rental, says Florida's Allstar Coaches. FORT LAUDERDALE, Fla. /Florida Newswire/ -- There are signs all around. RV travelers are becoming more discerning and businesses are taking notice. Allstar Coaches, the leading provider of luxury RV rentals in the U.S., is just one example of who is catering to this crowd. 'While luxury RV travel is not a new concept, the recent upturn in the economy has seen an explosion of activity in this market,' says CEI Rob Tischler. FORT LAUDERDALE, Fla. /Florida Newswire/ -- Allstar Coaches, the leading provider of luxury recreational vehicle rentals in the United States, is no stranger to the entertainment industry. Most recently, it partnered with Warner Bros. to provide RV rental assistance for its new blockbuster movie, 'We're the Millers' starring Jennifer Aniston and Jason Sudeikis. FORT LAUDERDALE, Fla. /Florida Newswire/ -- Florida-based luxury RV rental dealer Allstar Coaches today announced two new recreational vehicle rental location openings in Fort Lauderdale, Fla. and Orange County, Calif., serving business and luxe travel clients. FORT LAUDERDALE, Fla. /Florida Newswire/ -- Allstar Coaches, the national RV rental dealer based in Florida, has announced today that it stands ready to assist in the wake of Hurricane Isaac. Allstar provided more than 30 RV rentals to government agencies, the Red Cross and various utility and insurance companies following Hurricane Katrina. 'As a Florida based company we profoundly understand what is needed after a storm and we'll do what we can to help,' says Rob Tischler CEO of Allstar. 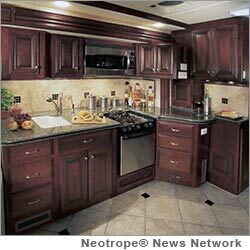 FORT LAUDERDALE, Fla. /Florida Newswire/ -- Traveling in a luxury RV rental just got even better. Allstar Coaches is paving the way and setting new standards in the luxury motorhome rental market. 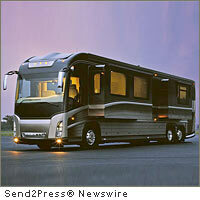 RV rentals continue to grow in popularity. The Recreational Vehicle Industry Association (RVIA) attributes this growth to flexibility and convenience, comfort, family appeal, affordability, lure of the outdoors, versatility and availability of rental RVs. FORT LAUDERDALE, Fla. /Florida Newswire/ -- According to Allstar Coaches, the RV rental industry is poised to have its best year ever; thanks in part to the highest air fares seen in more than three decades. The airline industry's seemingly relentless commitment to create innovative new ways to bilk consumers is finally driving them away. 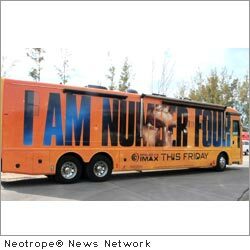 FORT LAUDERDALE, Fla. /Florida Newswire/ -- Branded RV rentals have emerged as a cutting edge marketing tool and are becoming popular among companies looking increase their exposure and enhance their corporate identity. Florida based RV rental firm Allstar Coaches has been using vehicle wrap technology for years on its fleet of luxury motorhomes as it continues to grow its Corporate Events and Promotions sector. FORT LAUDERDALE, Fla. (SEND2PRESS NEWSWIRE) -- Despite the recent climb in oil prices, RV travel is expected to reach record levels this year, according to Florida RV rental dealer Allstar Coaches. 'It's common for us to see a spike in sales during the summer, however this year we're seeing dramatic increases in bookings all the way through December and into 2012,' said CEO Rob Tischler.